While there are a multitude of issues facing the Hall of Fame currently, what to do with steroid-era players is the most challenging. After all, this one is in the hands of the voters. That’s not to say that the 10-vote limit and the fact that some of the writers seem to be making this process more about themselves than the institution aren’t major concerns. This year for the first time, I had the privilege of casting a ballot for the IBWAA. Even though my vote was unofficial in nature, I took it very seriously, as I consider myself to be a well-read and historically driven student of the game. As you can see in my ballot below, I chose to leave off any player with even the smallest connection to the use of performance enhancing drugs. This decision did not come easily, as I used almost the entire amount of time allotted to me to submit my final ballot. I did an absurd amount of reading, talked with dozens of other writers and made sure to do my own research. As I mentioned, my decision to leave players like Barry Bonds and Roger Clemens off my ballot was a tough one. From a pure numbers perspective, I effectively left two of the greatest players in baseball history out in the cold. I realize this, and although it was not fun to have to do, I will stick to my guns. I of course respect the opinions of the pro-steroid voters, as they are not without validity in their arguments. So it goes. I realize some criticism is warranted in leaving players like Jeff Bagwell off the ballot, as it was never proven that he used. Hell, there was never concrete evidence that Bonds used either. In trying to be as fair as possible, I used a form of probable cause in my decision making. You know, the kind of skills that police officers use while on the beat. If they have probable cause that you committed a crime, they can pull you over. In that, any player that I even think may have been linked to steroids will not appear on my ballot. I realize that this may sound silly to some, but I didn’t want to make the mistake of voting for a player who juiced without every possible piece of information. Sure, there are going to be rare cases where I’m wrong and I left off a player who was actually clean. However, I’m willing to take that risk in order to make absolutely sure that my vote doesn’t taint baseball’s most sacred institution. Maybe more information comes out about a player in the future, absolving them of any dark cloud. In that scenario, I would gladly reconsider. For now though, this is how I chose to approach it. There’s no doubt that it’s hard to decipher between those who used, those who probably did, those who may have and those who did not in an era where steroids were reportedly widespread. How widespread it really was though, we will probably never know. Before we close up shop, I just wanted to take a minute to critique the arguments of those who would call me crazy (and there have been many). 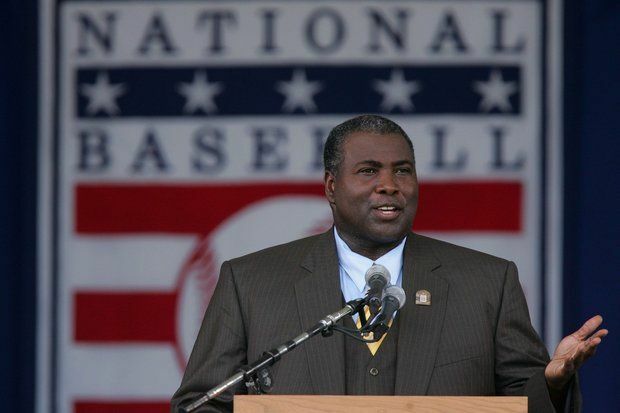 Are we really willing to put steroid users right up with true Hall of Famers like Tony Gwynn? Everyone was doing it: Wrong. Ken Griffey, Jr. was never linked to the use of performing enhancing drugs. Plenty others had great careers, and had them on the up and up. Many were doing it, but many also refrained. It wasn’t illegal: While this is true to some degree, it still doesn’t exonerate those who used. Baseball looked the other way for the entirety of the 90’s and into the early 2000’s before cracking down. Some will argue that the home run races of this era brought baseball back after the ’94 strike. I understand the fact that athletes are always going to look for an edge over their competition. I get it. But to allow these factors to wipe away the fact that some chose to cheat would be foolish. He was great before he started using: Just stop, stop it right now. Then why use? I’m sure those who use this argument would say “to gain an even greater edge”, but really? Do we have no morality? This argument has been paramount to those who support Barry Bonds’ candidacy. His numbers outweigh his steroid use: No they don’t. It’s likely that a solid chunk of his numbers (at the least), especially those in relation to power came as a direct result of PED use. I really don’t get this argument. If the CEO if a big bank accumulates large quantities of money in a way that is clearly shady while there were no penalties for it, does that make it alright? It’s a slippery slope to be sure, but I don’t think that makes the way in which the funds were acquired any less wrong from a moral standpoint. And finally, I’ll just leave this here. This has been copied directly from the BBWAA’s election rules via the Hall of Fame’s website. At the very least, this rule should give those who are quick to pencil steroid-users in on their ballots some pause. Timothy is a co-owner, head editor and sometimes writer at The Sports script. Follow him on Twitter @TKing978!